Wave after wave, you see your own arena beeing built. Map geometry is spawned based on interaction between players. 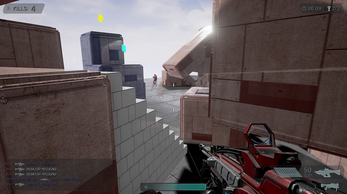 We tried to keep the racing feeling of UT, but to change the shooting dynamics with the realtime geometry spawn stuff, and to get you lost in a an always changing level design. 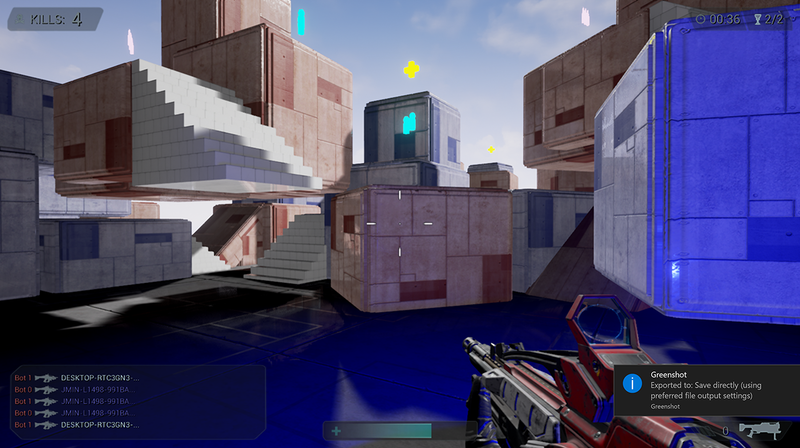 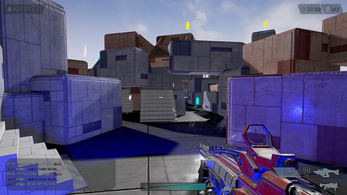 Thanks to Unreal engine and bas map, we have full multiplayer LAN support and bots: have fun !